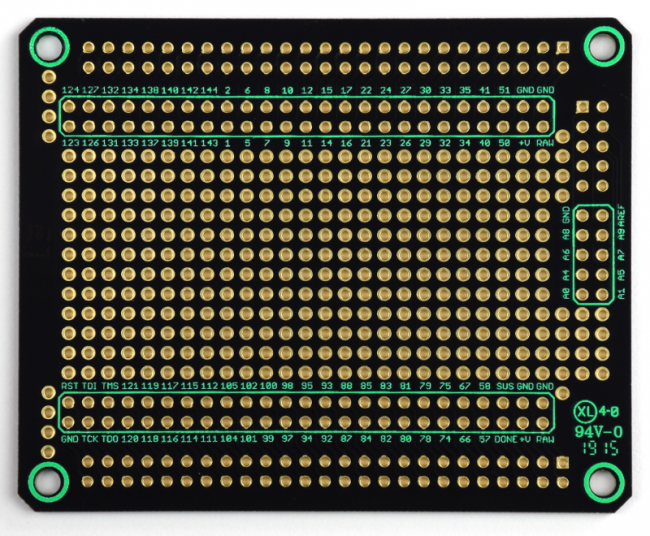 There are holes to solder headers to that will connect with your Mojo. Those pins are then broken out to the areas outlined in green with each pin labeled for easy connections. 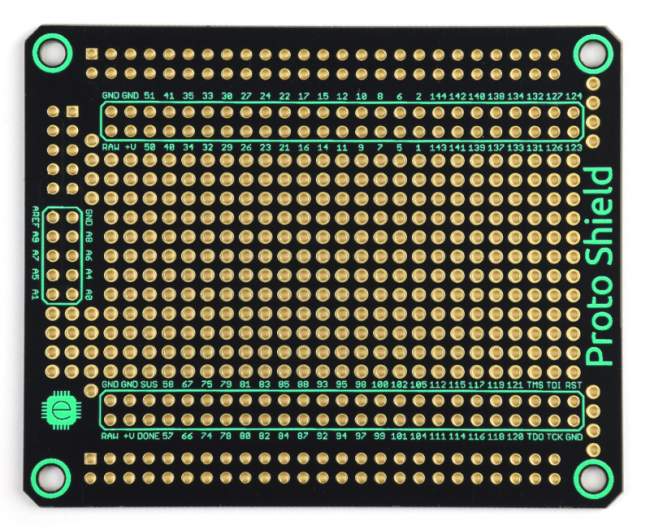 The labels are on both sides of the board to make it easier when soldering your prototype. Make sure to pick up some stackable headers if you want to be able to stack your shield! Alternatively, you can solder male headers facing down if this will be on the top of your stack.